A new 3D tool hit the U.S. for the first time (at both CES and TCEA), Leonar3Do. Building on the metaphor of the engineering, design work, and creativity of the famous inventor/artist/engineer Leonardo daVinci, this group (and their U.S. reseller) offers a “mixed reality” stereo 3D desktop VR kit. Check out this video to see how this technology conceptually works. 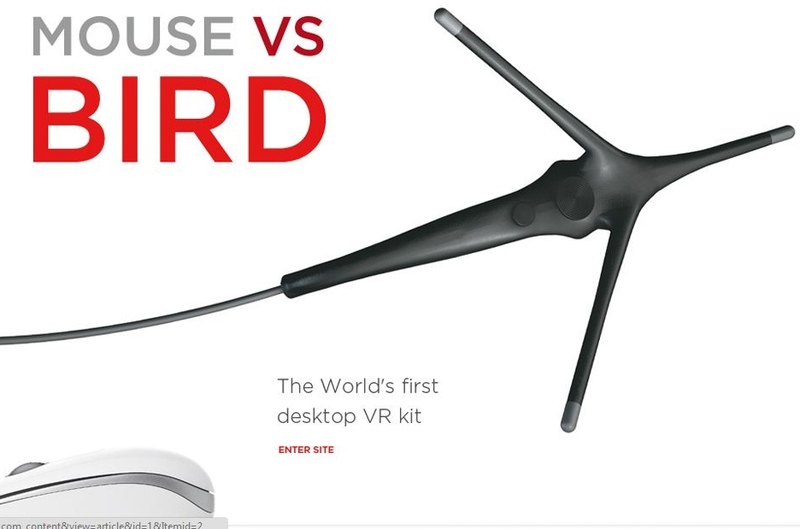 This company produces “an interactive tool that not only displays, but also integrates into your own personal 3D space.” It features the bird, a special 3D handheld controller than enables the user to reach, grab, work and play with objects. Currently, they are offering educational, professional, home, and conference center editions of their product. 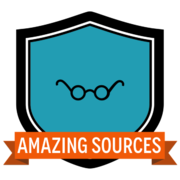 This tool advances the possibilities for student content creation, especially at the high school, college, and university level. For educators, this tool would make a strong basis for an excellent grant proposal. The ISTE 2012 educational conference, scheduled for San Diego in June, is offering four powerful educator presentations in the area of stereo 3D. Make plans to be there and learn about the latest in stereo 3D DLP technologies for the classroom. Click on any link to learn more. This is a comprehensive three-hour workshop on everything you need to know about creating a stereo 3D classroom or pilot project in your school or district. This is a birds-of-a-feather gathering for teachers or leaders interested in learning or talking about teaching with stereoscopic 3D. It is an open-ended discussion focusing on emerging resources and best practices for using 3D technologies to increase student engagement and learning gains. How does 3D technology in a science classroom affect learning and teaching? Explore this emerging technology and find out the results from a third-year extension of the BVS3D research study, presented by University researchers in a two-hour stay-as-long-as-you-want poster session. 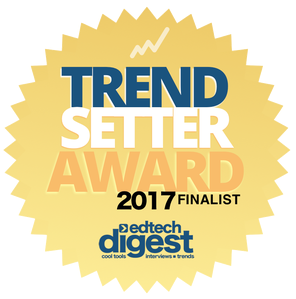 Discover how stereo 3D visualization technology is being used effectively in K-12 classrooms, how it affects student thinking and performance, and why it matters. Presented in a two-hour stay-as-long-as-you-want poster session. 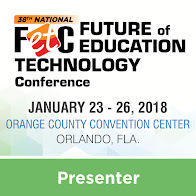 After attending FETC in Orlando, TCEA in Austin, and COSN in Washington, D.C., I came away with a fresh wind of perspective as the 2012 ed-tech conference season began in earnest. Stereo 3D was not well represented. It was visibly on display only in two booths. In addition, the displays were not that effective. Self-running demo loops simply won’t excite educators. There are better ways to showcase stereo 3D capabilities, folks. Stereo 3D is not well understood by conference leadership. Although chosen as a presenter, none of my stereo 3D offerings were selected. That decision perplexed me, so I wrote to the conference leadership asking why they did not select one of my 3D presentations. “We already had several 3D presentations scheduled,” they claimed, and “didn’t see the need for any more.” The answer was mystifying, but I accepted it at face value. Who could possibly be presenting? Fast forward. The conference arrived. Once I landed in Orlando, I took thirty minutes and reviewed every session offered during the conference, scouting for the previously mentioned stereo 3D sessions. There were none. But there were indeed three sessions being offered on “3D virtual worlds” (rendered-3D immersive worlds, like Second Life) and rendered-3D design tools, or rendered-3D animation. But nothing on the visualization and learning advantages of using stereoscopic 3D. As you can see, the conference leadership did not understand what stereo 3D is. Why? It is not fully a part of their generation or their personal culture. It is not yet on their radar. It should be, but it is not. But don’t ever think it is an unreachable goal. We just need the right messaging. Texas “gets” 3D. 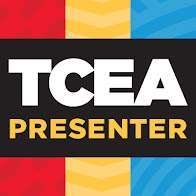 Numerous sessions touched on 3D at TCEA, including a half-day workshop. The presentations were well received and packed with people. New 3D math and science content was demonstrated that convinced even the stoutest doubters. 3D content was visible in a number of projection manufacturing and reseller exhibits. DLP 3D Lamp-Free Projectors were all the buzz, with four projector companies featuring DLP lamp-free projectors. (To the educator, lamp-free means not paying for bulbs every year—at $350 a whack. These projectors cost a little bit more, but pay for themselves in a year and a half. In some cases, the solution was expected to last for 20,000+ hours, or 10+ years in school terms.) I saw models from Vivitek, BenQ, Casio, and Optoma. Again, Texas ‘gets’ 3D. 3D is the new kid on the block. A conference for technology leaders, 3D was clearly a new experience for most. Amidst the clamor and noise of cloud-based applications and 1:1 initiatives, folks who saw examples of great 3D educational content were quite impressed. Some of the discussions I had with interested educational leaders were promising. Educational technology leaders simply need to see great examples of 3D (not movies), in order to begin their journey towards understanding. Some 3D educators are purchasing 3D video cameras these days, like the low-cost Panasonic model shown opposite, so that students can begin to make their own 3D content. This arena will be an increasingly important category of 3D content development in the future—student-created content. 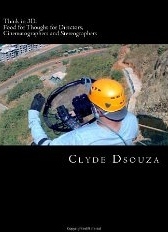 So, when asked by 3D educators to recommend a resource guide for teaching tips on how to film in 3D versus 2D, I can easily recommend a new book by 3D expert Clyde DeSouza. The book is called "Think in 3D.” It is quite easy to read, practical, and offers easy entry into this field. In particular, “Think in 3D” offers worthwhile educational and psychological insight about the effective use of the 3D medium.